The class will be conducted at the Great Plains Conference office in Lincoln. Participants may join the class there or receive it online via livestream on the conference website. A special URL will be sent to all participants prior to the beginning of the class. The cost is $30 per individual or $75 per church. The Rev. 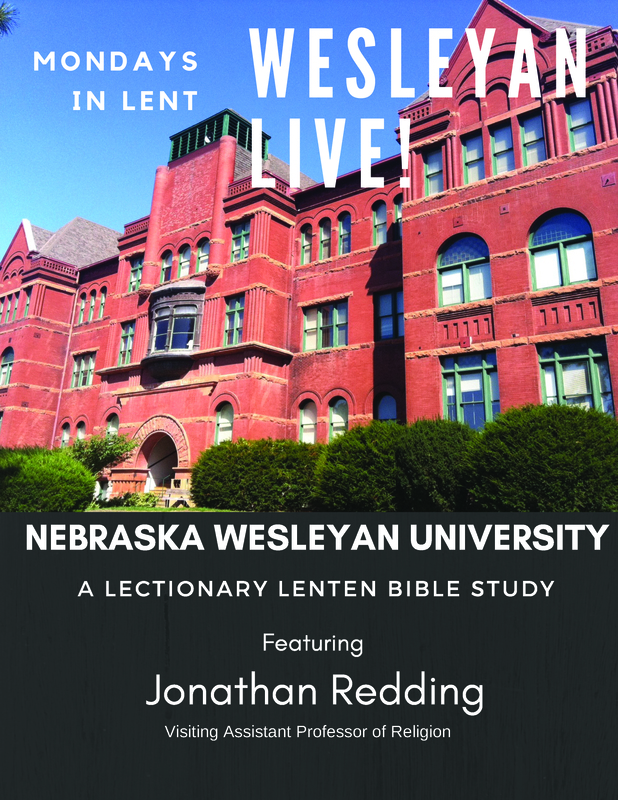 Jonathan Redding, visiting assistant professor of religion at Nebraska Wesleyan University, will be leading a study of the Lenten lectionary scriptures for 2018. Redding is a PhD. candidate at Vanderbilt University. He majored in Hebrew Bible and ancient Israel with a New Testament writer. His specific academic interests include Hebrew Bible interpretations, Semitic languages, ancient Near Eastern religions, Second Temple studies, the Dead Sea Scrolls and the Synoptic Gospels. For questions please contact Rev. H. Eduardo Bousson, Nebraska Wesleyan University minister, at ebousson@nebrwesleyan.edu or 402-465-2398.